He's here. Relic is finally here. 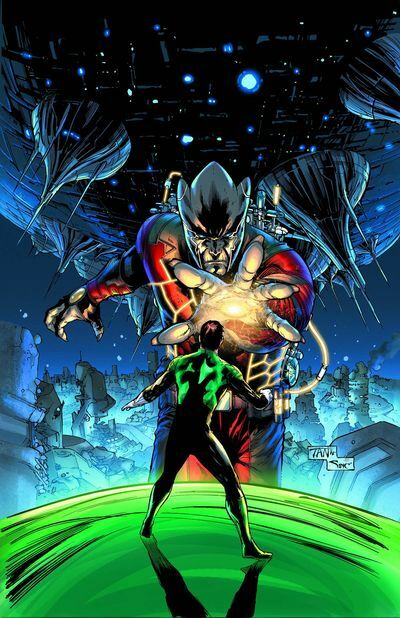 So stand-back, relax, and get ready to see how green and red both mix together, in this rather rambunctious adventure devised by Robert Venditti, and Billy Tan; Published by DC Comics, in October, 2013. Please brace yourselves, folks. I'm sure it'll be one hell of a slap-happy affair!!!!! Using GENERAL terms, answer the following 4 questions about this FIRST PART of 'Lights Out'. WHAT'S THE MAIN THRUST OF THIS TALE: 'The more you use you're power rings, the more you'll destroy the universe' says Relic to Hal and the rest of the Green Lantern Corps. 'And if you continue doing this' he continues, 'I'll kick you're f*cking heads in'. ARE THE MAIN OBJECTIVES ACHIEVED: Yes. Yes they are. Mores the pity. ANYTHING ELSE HAPPEN: Hal and the clan do their collective best to repel Relics imminent attack. HOW DOES THIS STORY END: With an explosion signalling the end of Oa. 'You know, for a second there, he actually sounded like the Corps leader'. Ha! It's funny, because it true. (+) Now this is what I'd call a great start to a great new crossover event. It's set up the basic premise. It's put most of the characters on the same page. And all it's got to do next is tease the living sh*t out of us until its conclusion. Good job, Robert and Billy. In my eyes this has been your best installment yet. (+) Another thing I really liked about this issue was how well it defined each of the characters involved. Hal is the roguish leader. Salaak is the knowledgeable one. John is the second in command. Relic is the clinical bad guy. And the rest are the other parts that make the whole that much sweater. Yummmm! (+) One of the most intriguing aspects about this adventure is the dilemma Relic poses, or more specifically, his statement about 'the emotional spectrum' having the ability to deplete the universe's resources. Well, is he right or is he wrong? And if he is right, does that mean the Corps are the bad guys this time round? Food for thought, isn't it? (-) As much as I liked the way that this cross-over event kicked off, and as much as I liked the overall idea behind this arc, what I didn't like folks, is seeing the central power battery being blown up again. I mean, how many times is this type of thing going to happen? So far I count at least six times in the last ten years. What gives? Is blowing up the battery some sort of annual event now? YAO DEFEN AS RELIC: No. Yao isn't the small bald chap with the moustache, dummy. She's largest woman in the world. Well, she was until she passed away last year. Amen. EARTHA KITT AS SALAAK: Come on. Don't tell me you can't see a passing resemblance between these two... errr... life forms. Can't you see it in Eartha's fifth hand? 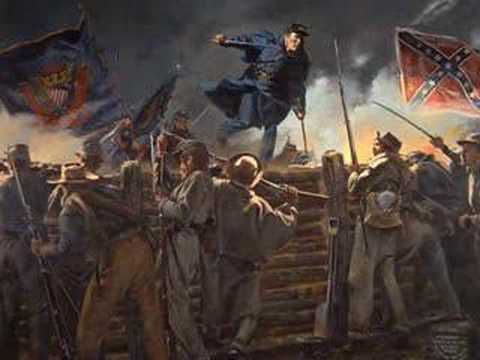 THE BATTLE HYMN OF THE REPUBLIC BY WILLIAM STEFFE: Will you do me a favor my friend. Re-read this issue once more. But this time play this song whilst reading it. Trust me. It'll give the whole thing a brand new and uplifting dimension. Hal dying and then coming back to life again. Ten Glaswegian priests playing the clarinet out of their own butts. Another crossover event that leads off of this crossover event. A new character being introduced and then shipped off into his own series. A dead character coming back to life before dying again. People... speaking... in fractured... dialogue... balloons. Anyway. That's enough of my bullshi*t for this month. All I have left to say is that this issue of 'Green Lantern' was a pretty good read. The story was intriguing. The art was fairly complementary. And the only thing that let it down was its... errr... repetitive synergy.